Last edited by kudos; 08-24-2015 at 09:27 PM. Blurb: You may say I lost everything; but I still had my bedazzler. Theoceans right. We need to make this BAR as DEPRESSING AS POSSIBLE. 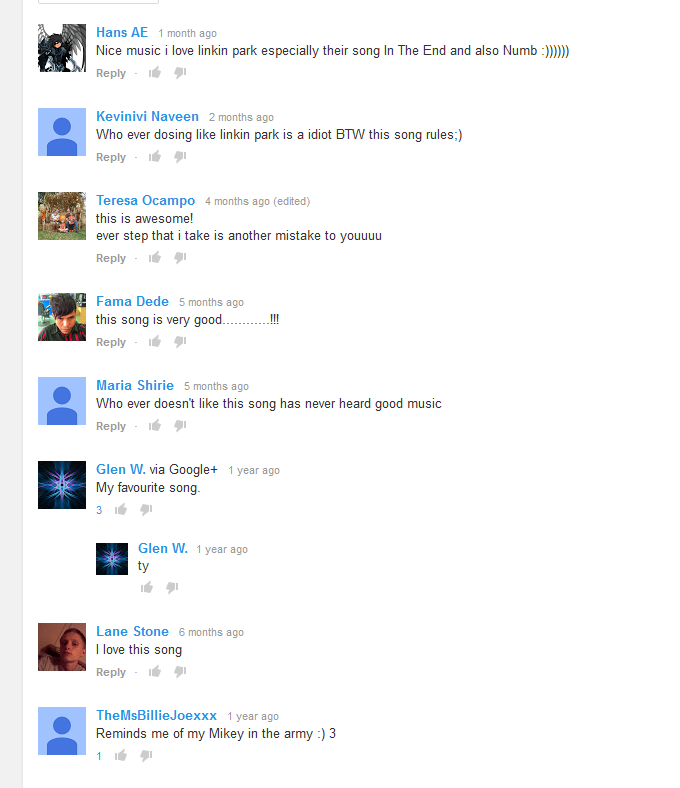 AND WHATS MORE DEPRESSING THAN LINKIN PARK WITH THE MOST CLICH� AND TEENAGEY LYRICS VIDEO YOU HAVE HAVE! How about making it hyper instead? This BAR needs more Space. And now its time to giggle at teenagers trying to post comments. I was watching Ancient Aliens earlier on Netflix, and MAN is that show out there. Welp, Baku at least proved to me that some people in this world listen to me. Also yay, hyper bar sounds good, cause depressing bar is shite. I AM ALSO ENRAGED AT THIS! It was preordained that she would win, as I stated. well it's my first BAR, so cheers! Headed to bed. Night all! Welcome to the new BAR, RAR.